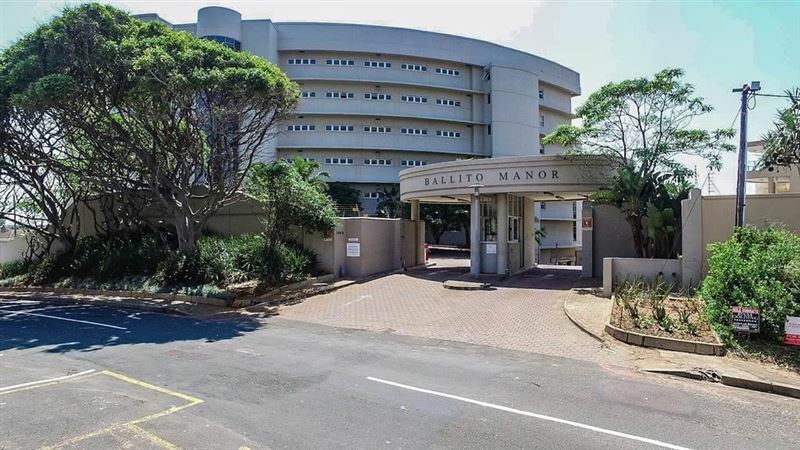 Overlooking the stunning Ballito coastline, 205 Manor View offers a memorable seaside stay to guests visiting this popular part of the Dolphin Coast. 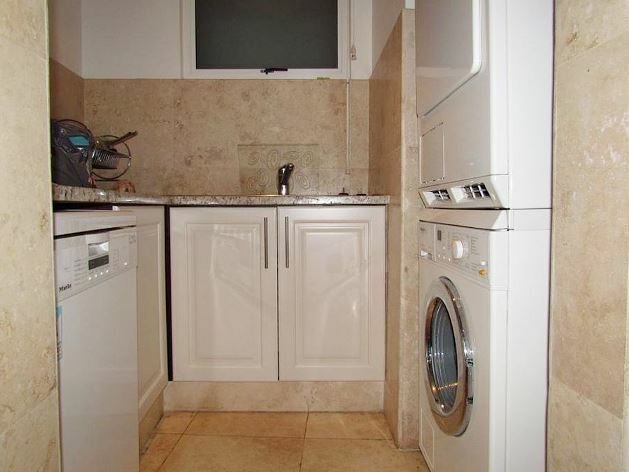 This lovely apartment has two bedrooms, of which both have en-suite bathrooms. The open-plan living area has a fully equipped kitchen with a scullery, a dining area and a comfortable lounge leading out onto the balcony. This town is an ideal choice for water lovers as the beach is just a short distance away. Guests can spend their days surfing, swimming or simply just relaxing on the white sandy shores. Guests can also visit the many shops and restaurants in the area. 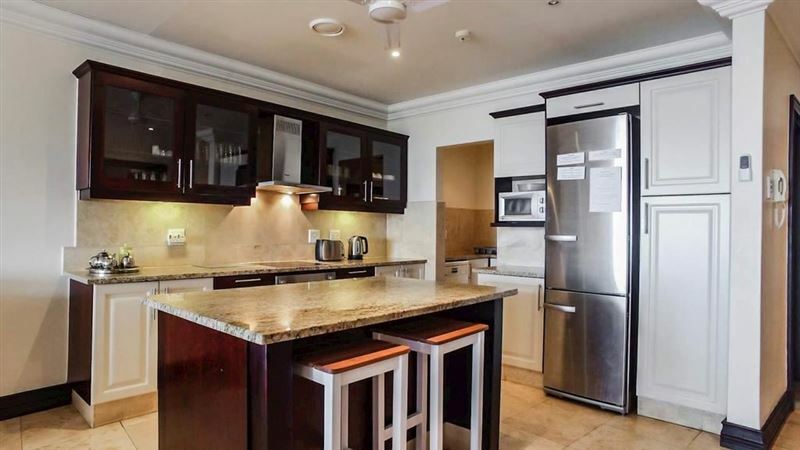 End the day off back at the apartment with a delicious braai, or an evening dip in the communal swimming pool. 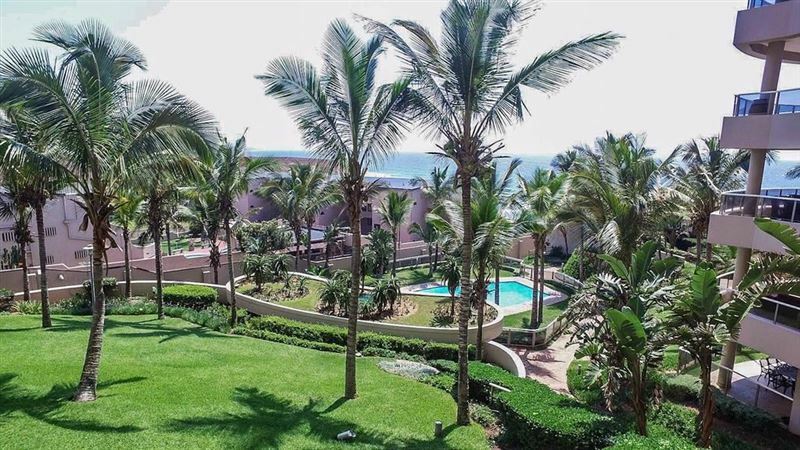 Guests can then unwind with a drink on the balcony while appreciating stunning sea views. 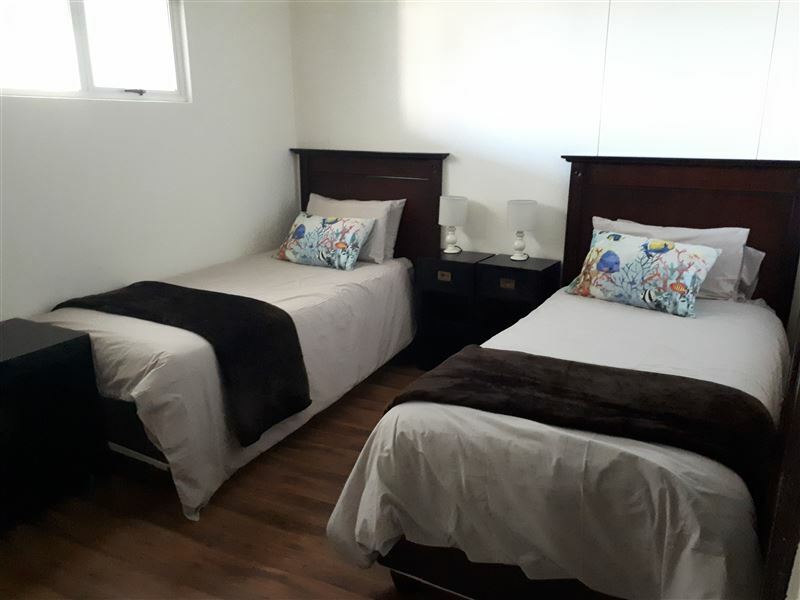 Good clean houses, access to all amenities, so close to the beach, quiet and super friendly staff. Gorgeous,unbelievable views. Literally on the beachfront. Great value for money. We had a pleasant stay at 205 Manor View.Superb location. 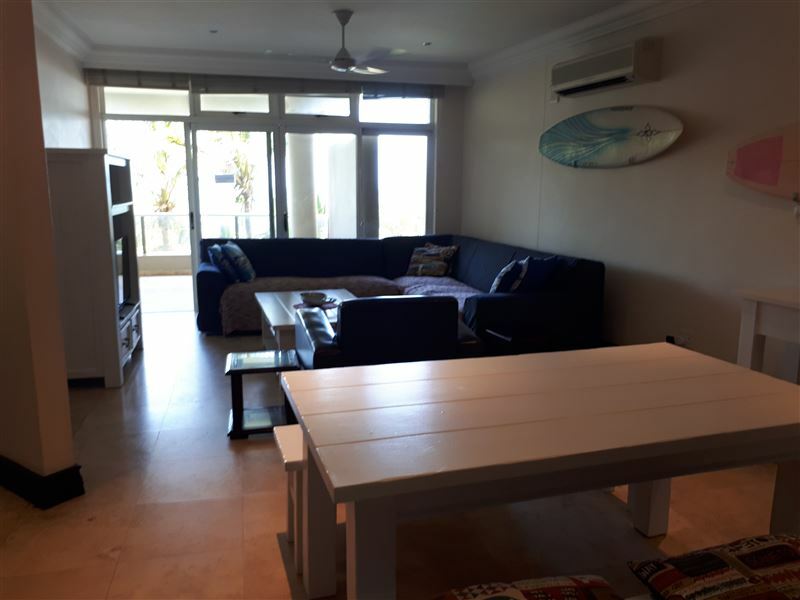 And well equipped unit.Apart from a soup ladle and a table cloth, we hadeverything necessary for a good holiday.Owner was kind enough to even leave beach chairsand umbrella, for which we are very greatful.We definitely recommend it, Thank you for the use of your home. Beautiful, comfortable, excellent! 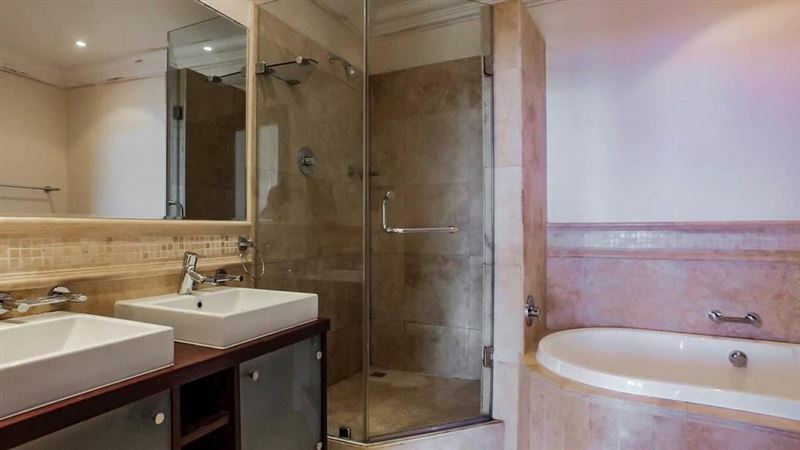 Rooms were spacious with beautiful finishes in the bathrooms. The kitchen was perfectly equipped and we loved every moment of staying here. We will be back soon! Request a quote from 205 Manor View at no obligation. Accommodation designed with wheelchairs in mind. Please contact the 205 Manor View to discuss any particular wheelchair requirements. 205 Manor View is within a convenient distance from the beach.